Please choose from the products below. 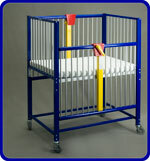 The Pedi-Crib Bed is constructed of steel for strength and durability, and aluminum to reduce weight. 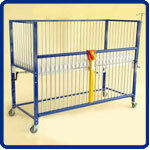 The Pedi-Crib Bed with Soft Vinyl Top is constructed of steel for strength and durability, and aluminum to reduce weight. 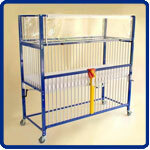 unit but has plenty of room for twins.